Brexit is a farce. 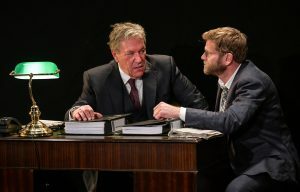 Of all the things Robert Khan and Tom Salinsky’s Brexit could have been, their critically acclaimed satire about the current Euro-debacle is not the play this mired, political sham of ours deserves – it’s the one we need right now. 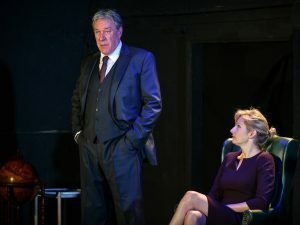 After enjoying a successful run at the Edinburgh Fringe, Brexit has transferred to the Kings Head Theatre in Islington, broadening its reach from SNP Remoaners to the so-called Metropolitan Liberal Elite Remoaners, to wherever local MP and Labour leader, Jeremy Corbyn, now stands on the whole affair. It’s no secret that Edinburgh’s International Festival, which attracts acts from Europe and all over the world, has cashed in on the biggest political fudge since Cameron triggered the referendum in the first place. 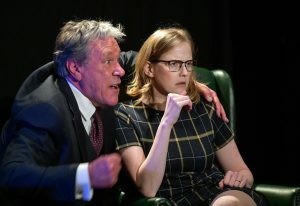 While the Edinburgh programme nearly always turns out to be a depressing exercise in buzzword bingo, Kahn and Salinsky’s play thankfully lacks the cash-in-quick laziness one might expect from the deluge of Brexit-themed comedy routines currently travelling south. The script is lean, athletic and well-informed, lampooning the ‘frenetic inertia’ surrounding our government’s unique predicament: which is to negotiate a worse trade deal than the one previously held. Timothy Bentinck is unfairly likeable as Adam Masters, the newly elected Tory Prime Minister, whose plan for exiting the EU is to is have competing factions of his party fight it out, stalling the Brexit process indefinitely. According to Masters’ plan, ‘a constant state of doubt and uncertainty’ is better than lurching disastrously forward (or backward) in either direction. So, why do either? Smug and deliciously supercilious, Thom Tuck’s performance as the BoJo-like, Brexitmongering hardliner, Simon Cavendish, is a perfect stereotype. Media-ready with a garish pocket square, he’s your classic paradox of blue-blooded courtier and self-proclaimed man of the people, fighting from and against the establishment. If this were a pantomime (a Brexit play for another time perhaps), ‘Farage’s behind you!’ would easily have Cavendish parading about as your archetypal, pin-striped villain. The buck doesn’t stop there, however. Khan and Salinksy’s shoulder-shrugging scorn is indiscriminate in its disdain, playing hopscotch across party lines and allegiances. Diana Purdy (Pippa Evans) is brought into the cabinet by Masters to neutralise Cavendish, foiling his Brexit strategy with the Tory Remainer’s single-market hugging, EU trade deal. With any luck, Masters won’t have to deal with the EU’s unsympathetically blasé chief negotiator Helena Brandt (a cool and somewhat sinister Lucy Montgomery). The only one holding it all together seems to be Paul Connell (Adam Astill), Masters’ close friend and campaign adviser. But even he’s ready to jump ship. Ripped apart by opposing tribes, puppeted by a Prime Minister who’s trying to save his own skin, Brexit policy ends up a botched-up media stunt attempting to unify a divided country. It’s all rather cathartic, despite the déjà vu. 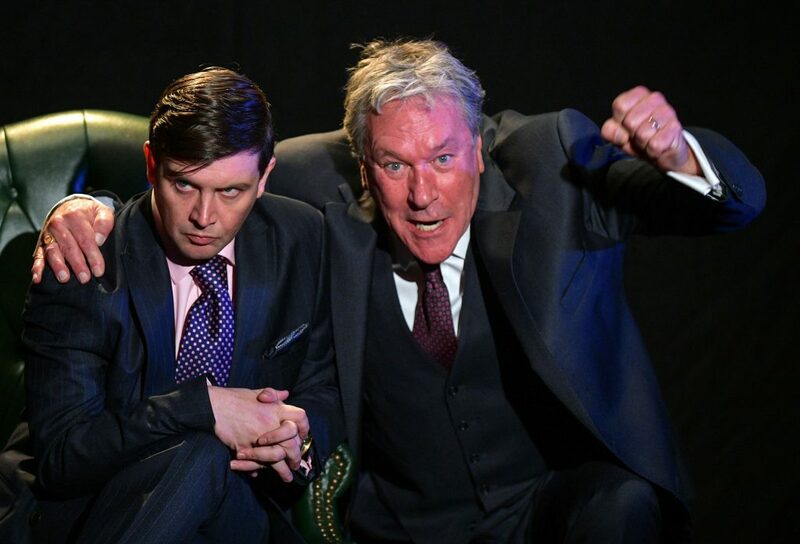 And since the play is more about our attitudes towards Brexit than Brexit itself, laughs come easily without niggling away at your political better-self. The play occasionally feels too static and contained. There’s a lot of people talking in rooms, with little action outside of the wood-furnished Westminster bubble – although one supposes that is how it works. Scrambling to delay Brexit for as long as it takes everyone to forget about the whole ordeal, Masters’ antics are probably funnier now than they were in August, and getting funnier as time goes on. Brexit is an exasperated satire for tired British citizens. Your under-30s might find some gags a bit dusty, but overall the play is witty and somewhat reinvigorating. 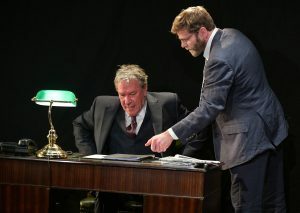 Brexit runs at the King’s Head Theatre until November 17. Brexit, Robert Khan and Tom Salinsky’s witty & invigorating satire about the current Euro-debacle, is just the play we need right now.